Ah, Skype. It’s sent straight from heaven for those who want to make free personal and business calls over the internet. 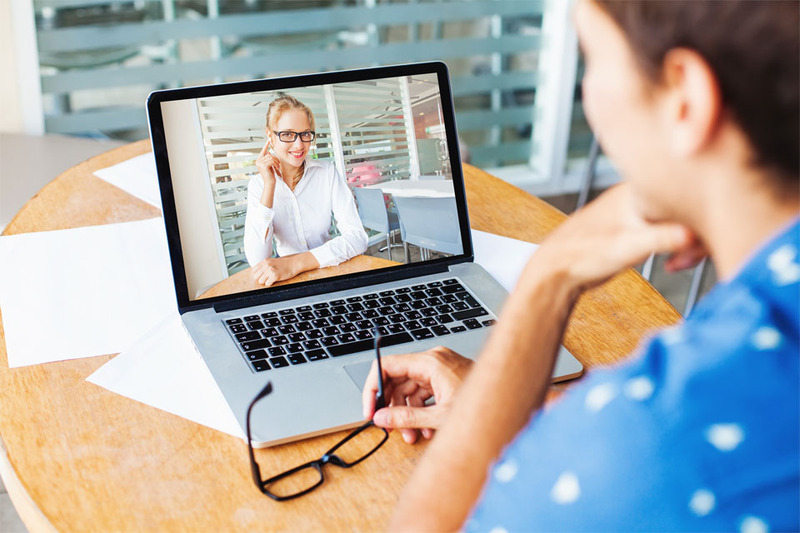 The popular program promises seamless voice and video communications, where you can connect with anyone anywhere in the world who has Skype and internet connection. But life isn’t perfect, just like Skype doesn’t work 100 percent all the time. Some users have documented a glitch using the service, where Skype freezes whenever they start the camera and try to make a video call. Their common denominator? They have just updated their Mac operating system to Mojave. Previously, we discussed how to fix Skype issues after getting the Mojave update. Don’t panic just yet if you find that Skype freezes in Mojave when using cam and related settings. According to Skype support, macOS Mojave (10.14) users may experience issues with video not working. “We’re working on this issue and hope to have this working correctly soon,” Skype notes on its support page. Mojave actually contains new security features, where the user has to give Skype permission to access the camera as well as microphone. Its app restriction panel comprises a pair of new toggles for the Mac’s microphone as well as the built-in FaceTime camera. With these toggles turned off by default and without the necessary permissions, an app like Skype cannot capture video as well as record audio, not even in the background. So if you’re opening Skype for the first time, you would need to provide the system with your explicit permission for it to use your Mac’s cam or mic. Click the Security & Privacy icon. Click the Privacy tab found at the top. Go to the left hand column, and click on Camera or Microphone to manage app permissions. Tick the boxes located next to Skype or another app for which you would like to grant cam or mic access. At the same time, untick the boxes for apps that you don’t want to provide permission for. Wait for the popup message that warns you that changes will take effect after the app restarts. The dialog will ask: would you like to choose to have macOS quit the app automatically on your behalf, or do you prefer to do it on your own at a later time? See if the Skype freeze issue has now been resolved. Another handy option to solve camera-related woes is to reboot your Mac. Completely shut down your Mac instead of selecting just the Restart option, which will close your current session and temporarily turn off the Mac but will leave your RAM untouched. Shutting down your Mac will both clear your RAM and end all existing processes, including one that could be getting in the way of proper camera functioning. If your Mac camera doesn’t seem to operate well with Skype, then it may be incompatible with that app. Video calls using the Skype app, for instance, may not get through if you or the person on the other side uses an outdated Skype version, or ver. 2.8 or older. Making video calls and using the camera fine demand that both parties use the latest Skype version. Start updating to the latest version of Skype by confirming what version number you are using on your computer or mobile. If you’re on version 7 or lower, download the latest version for Mac. Using the same philosophy as above, camera problems that are cropping up could be tackled by installing a security update that’s available for your Mac. Apple makes it a point to include important bug fixes in every build release, so it’s critical that you update your software to the latest available version. Click Software Update to check for any updates. If there are available updates, click the Update Now button to install them. You may also click More info to find details about every update and choose to install only specific updates. Note that when Software Update states that your Mac is up to date, the OS and all of its apps are also up to date, including iTunes, Safari, Messages, Mail, Calendar, Books, Photos, and FaceTime. In the future, you may also automatically install updates by selecting the Automatically keep my Mac up to date option. Don’t forget to regularly optimize your computer – via cleaning out junk, unnecessary files, and other space hogs – through a reliable optimizer tool for Mac. Sometimes, these junk files can get in the way of the stable operations of your machine and apps like Skype. Hopefully, the steps we outlined above will help fix Skype when it freezes in Mojave, whether when using camera or another feature for a voice or video call. You may also find similar Skype not working issues on your MacBook, so we enumerate separate fixes for that set of problems. Have you encountered Skype freezing and other issues while on Mojave? We’re curious to know how you successfully fixed them – let us know in the comments!